Like any convention’s first run PAX Unplugged had some issues. After being out of the office for nearly two weeks I’ve got a backlog I’m going to tackle, but I wanted to share my thoughts before doing that–so here we are. There were a few problems with the convention but the staff were excellent–one of them straight up bought me a soda when I asked for one. That guy set where the bar for staff excellence is at now. Simultaneous events (a law enforcement convention and the Philadelphia marathon) didn’t help out off-site and the lack of any game scheduling ahead of time was just a terrible oversight. Fortunately being an exhibitor let me sit down for a Starfinder game (in Paizo’s booth) before that hall opened, but otherwise there was no reasonable way for me to play a tabletop RPG–I had to be in the booth at certain times to work, and in order to get into a game you get into a line at the beginning of the day and after a couple hours maybe you lucked out. This is a drag for any con-goer but straight up impossible if you’re on a work schedule. There’s this crap habit of conventions going on in Pittsburgh every 3-4 months where you get a dealer’s hall, maybe some magic card tournaments, and then a bunch of autographs. Real RPG conventions just aren’t allowed here or something? 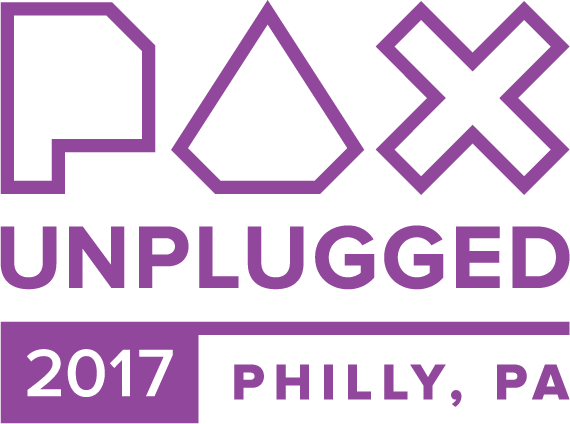 I dunno–mad that I missed SibCon because it sounds like that might’ve broken the curse, but I was really hoping PAX Unplugged would do it. There were a half-dozen seminars that maybe were of some interest to me as a game designer, but really this first year PAX Unplugged was a place for celebrity fandom and board gaming. I’m sincerely glad that folks had a good time (there were a lot of people walking around super pleased with their experience) but this one was kind of a wash for me. Managed to get some important things done, had a great time as far as booth-work goes (Syrinscape is great and useful for everybody and all I had to do was give away free stuff so it was a breeze), ate at a spot in Philly Chinatown that has eluded me several times before (BEST DIM SUM – OCEAN HARBOR), and had no personal issues with the hotel (although I believe the people putting me up did). My actual convention experience though was limited to a Starfinder game I got into by privilege (early access to the exhibitor’s hall) and one seminar–if I go to work a booth here again, it’s probably going to require some more compensation because as it was this year there was no other way for me to enjoy the convention. This adventure is finally available! All of its proceeds go to the SPLC and Black Lives Matter so check out www.operationnazismasher.com and grab its PDF, a print copy, or the Roll20 module! If you’re into high-level Pathfinder adventures and want to help us fight nazis, please check it out! A Hypercorps 2099 adventure set in WW2 for PCs of 16th level, 8th level [Hyper Score 6], or 8th level (Mythic Rank 5-6) using the Pathfinder Roleplaying Game and Hyper Score rules. After the despicable display of bigotry and hatred in Charlottesville VA in August 2017 a group of artists, designers, and writers joined me to do something about it. This thrilling adventure is the result of our work and the proceeds of every single purchase go directly to charitable efforts focusing on anti-hatred causes (specifically but not limited to the Southern Poverty Law Center and Black Lives Matter). Everything you need to play the game is included and you have our gratitude for taking part in the fight against injustice. Go pick your favorite patriotic superhero from Task Force V (or make your own) and smash some nazis!